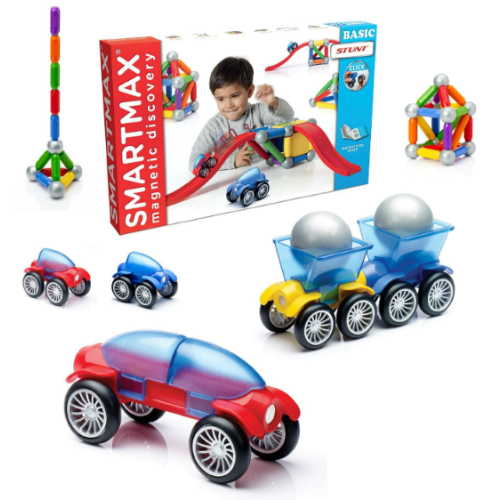 Have fun building incredible structures and vehicles with SmartMax Basic Stunt Set! 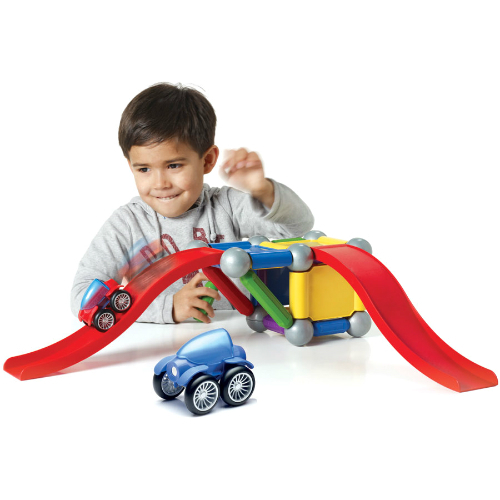 The Basic Stunt magnetic set lets kids build small cars and ramps for hours of fun. The oversized pieces are designed for young children to build simple structures but older children will create bridges, towers and more complex structures. 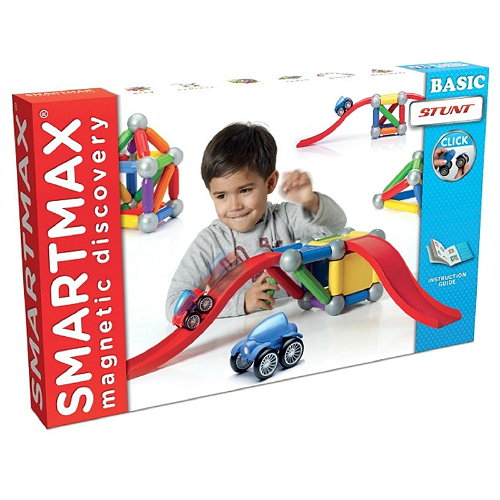 The SmartMax Basic Stunt Set is a great combination of SmartMax building fun and vehicles. 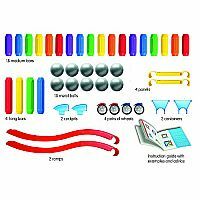 This 46 Piece set includes 18 medium bars, 10 metal balls, 4 long bars, 2 cockpits, 4 pairs of wheels, 2 ramps, 2 containers, 4 panels and guide. 100% compatible with other SmartMax pieces and sets. Measures approximately: 22.00 x 14.00 x 2.50 inches..